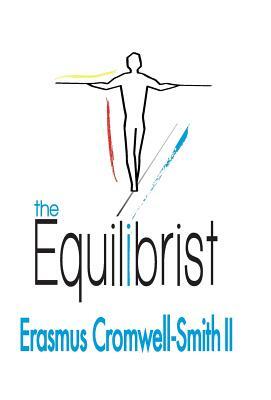 In Erasmus Cromwell-Smith II's magical, modern-day literary tale, an ailing professor journeys into his past to reveal a world ensconced in stories and poetry, with hope of imparting inspirational, lifelong lessons. From his crumpled aesthetic of a tweed jacket or cardigan to his thick British accent, Professor Erasmus Cromwell-Smith is the embodiment of the prestigious New England scholastic institute where he teaches. But at 64, with a sudden diagnosis of incurable brain cancer, he decides to focus his intentions on living each day to the fullest, and to share a lifetime of wisdom that he's treasured throughout the years. In daily classes with an ever-increasing audience, the professor mesmerizes students with tales of a childhood surrounded by rare books and enhanced by his friendships with three colorful, eclectic antiquarian mentors. Through an unfolding of conversation, free-verse poetry, and letters, the mentors' tutelage is revealed. For example, the title poem serves as a message about balance and freedom, while "The Magic in Life" poses questions about where enchantment exists, " ... a piece of art?/ ...a magnificent meal?/ ...within the silence and peace of contemplation and meditation?" Over 30 thought-provoking poems and reflections are woven throughout, addressing such concepts as letting go of the past, finding inspiration, dealing with loss, and ultimately living a happy, blissful life. The writing style is thoroughly fluid and engaging, with a nice narrative change up, as chapters often switch from third person as the eccentric professor ponders his way to class, to the first- person storytelling of his lectures that easily draws in students (and readers). This is also a story about love. With only a few hints regarding a curious young blonde-haired woman attending his class, the professor's legacy is ultimately brought to a surprising, honored conclusion. The story's premise recalls Randy Pausch's popular memoir, The Last Lecture, yet this existential "final session" harbors a quiet magical quality all its own. In choosing to explore universal concerns within a captivating fictional realm, Cromwell-Smith II strikes an ideal balance for his storytelling.